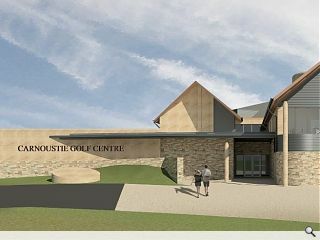 Carnoustie Golf Links have obtained approval to press ahead with a new club house extension despite concerns that the development could undermine existing bars and restaurants in the town. The decision by Angus councillors clears the way for work to begin on a revised iteration of the scheme, which has been reduced in scale from 1,665 to 1,469sq/m together with the addition of new simulator. 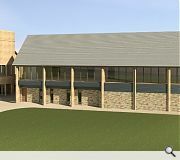 Utilising a base course of random pattern stone reclaimed from existing buildings and dressed stone the extension will sit under a slate roof to harmonise with the existing hotel with extensive views across the course. 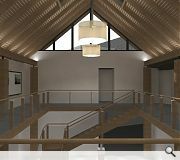 In their design statement Wellwood Leslie Architects wrote: “The extension of the Golf Centre maximises natural daylight with orientation towards the Links course for the first floor bar and terrace. 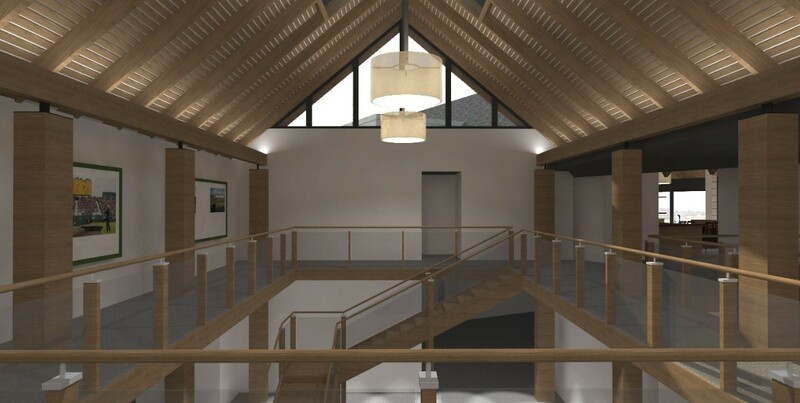 A first floor walkway will also be installed around this atrium to further improve access and also showcase the club’s history and heritage. Undermining the existing bars in town is the least of their problems if they are happy to go ahead with that design. Help ma boab. Honestly, never thought I'd say it but if they want a good example of tasteful..."golf architecture"...so to speak; look no further than Trumps golf course that's just been finished recently. This isn't just a poor design, it's almost wilfully sticking it's ar!e in the face of basic architectural forms. You wonder if the person(s) involved in the design even know that there are "basics", so to speak. It's like something a kid would design if you asked them to "draw me a building". I'm all for open comments on this site. However, I think it only fair to whoever developed this scheme that you check out the planning portal link within the article and base your comments on that as the external image above doesn't appear to illustrate the current approved scheme but the previous iteration. Quite right Attic - I've updated the visuals to the most recent iteration. #7 oh it's an improvement but that's not saying much.